The Cleveland Cavaliers began their season on Wednesday, October 17th. They played the Toronto Raptors at the Scotiabank Arena. The Cavaliers lost to the Raptors 104-116. It was going to be a tough team to beat, especially because of their edition of all-star Kawhi Leonard, but the Cavaliers competed well for most of the game. The Cavaliers have had to go through major changes as their star player, LeBron James, left for the Los Angeles Lakers. Luckily, they were still able to keep their second best player on the roster, Kevin Love. Even so, the Cavaliers are looking at a tough season. The best thing right now is to watch as their young players develop. The Cavaliers were able to get the 8th overall pick in the NBA draft this past year. With their pick, they selected Collin Sexton. Collin Sexton is a high energy point guard from the University of Alabama. Along with Sexton, the Cavaliers have Cedi Osman, Larry Nance Jr., Jordan Clarkson, and many others. 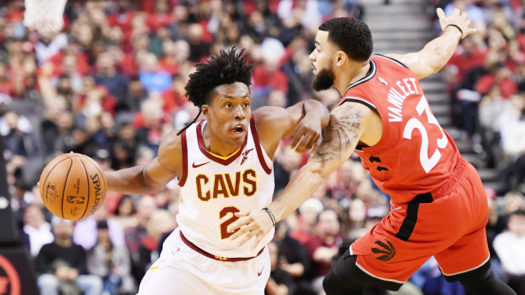 These players are able to give the Cavaliers a faster pace of offense, which is a completely different approach than what the Cavaliers have had previously.